Mildew and Sponge don’t think much of Maudlin Towers, the blackened, gloomladen, gargoyle-infested monstrosity that is their school. But when somebody steals the School Spoon and the teachers threaten to cancel the Christmas holidays until the culprit is found, our heroes must spring into action and solve the crime! Best friends Mildew and Sponge are not happy to be back at Maudlin Towers for a new term – gym teacher Mr Stupendo keeps making them run up mountains and they're getting a hard time from fellow student Kenningworth. But that's just the start of it as very strange things begin to happen – from the theft of the prestigious School Spoon to the arrival of a potential ghost in the attic and, perhaps most surprising of all, the fact that history teacher Mr Luckless is suddenly not boring. 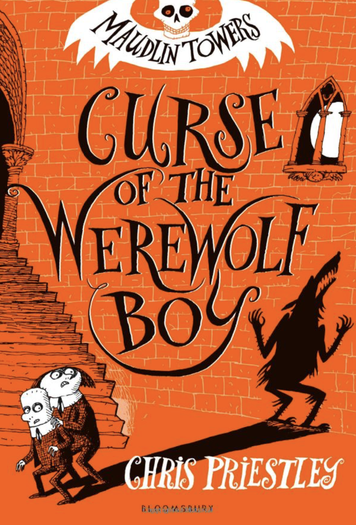 It's down to Mildew and Sponge to do their best detecting and figure out just what is happening at Maudlin Towers in this raucous adventure that takes in mind-bending time travel, werewolves and even a rogue Viking wandering around the school's ha-ha. Yes, ha-ha.